Leasing a new car and buying a used car are widely regarded as the two best ways to save money when shopping for a vehicle. But for many people, the smartest move is to go with a car that somebody else has leased. By taking over the lease on a used car, you can get the best of both worlds. No down payment – Some of the cost involved in leasing a new car comes from the down payment. The larger the down payment, the lower the monthly lease payments will be. When you go with a car that somebody else has leased, you get the benefit of the lower monthly payments without the down-payment expense. Shorter lease terms – The longer the car lease, the lower the monthly payments. By getting a car that somebody else has leased, you essentially get a short-term lease that has the low payments of a long-term lease. You also don’t have the long-term commitment, which gives you the flexibility to change cars more frequently. A nicer car – By definition, a lease vehicle will be a late-model, low-mileage car. And many car leases are for luxury vehicles, which are easier to afford on lease terms. No unexpected repair expenses – Newer vehicles are more reliable and less likely to need repairs. Even if they do need repairs, most lease vehicles are still under warranty. No hassle of trying to sell a used car – At the end of the lease, you just return the car to a dealership. You don’t have to find a buyer for it or take the risk that it has depreciated in value more than expected. Incentives – In some cases, the original lease owner may include a cash incentive for taking over their lease. 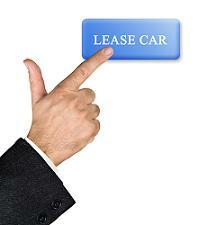 At Swapalease.com, we make it easy to find the best car leases available from people looking to transfer their lease. Please contact us if you have any questions. This entry was posted in Leasing A Car, Saving Money & Reducing Car Expenses and tagged assuming a lease, choosing a used car, leasing a car, no down payment, shorter lease terms, smart driving practices by admin. Bookmark the permalink.